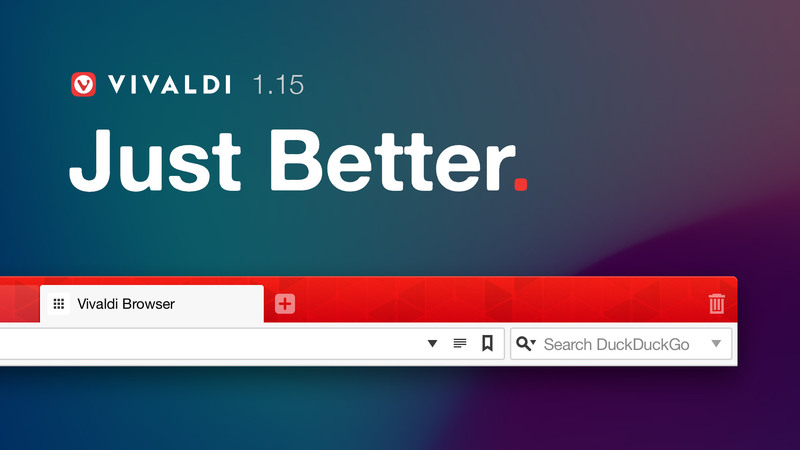 Vivaldi launches its new web browser version 1.15 that enables its users to have even more control over the appearance and functionality of the browser. OSLO, Norway – April 25, 2018 – Vivaldi launches its new web browser version 1.15 that enables its users to have even more control over the appearance and functionality of the browser. Vivaldi lets users express their personal style with extensive theming support. Users can alter the look and feel of the browser exactly the way they want. They can choose, edit and schedule Themes according to their preferred time and mood. 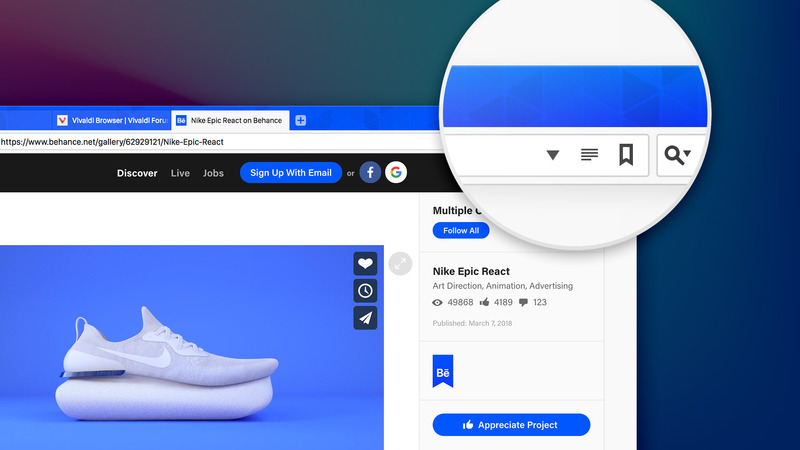 With this version, Vivaldi continues to give its users the ability to personalise the browser even more by selecting an image and setting it up as their window background. The Window Background Image reiterates Vivaldi’s DIY (Do It Yourself) approach that fits in perfectly as the basic design criterion is to provide different ways of doing things. Users can get started with a repeating pattern that is available as the pre-set. They can also experiment with the default pattern with various themes to browse seamlessly. By simply going to Settings, then Appearance, users can find this new feature just below the Window Appearance section. Baked in the browser itself, Vivaldi’s comprehensive bookmark function pushes boundaries of using bookmarks differently and lets users rely less on extensions. Vivaldi packs in numerous ways to access bookmarks. 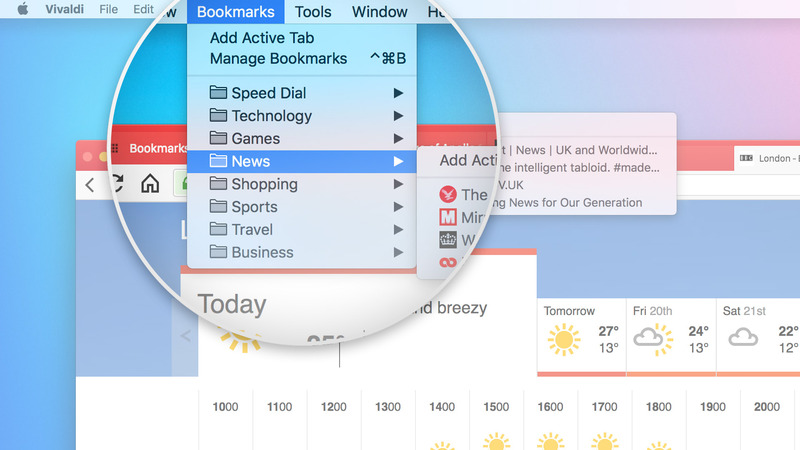 Earlier they could already be accessed from the Bookmark Panel, Bookmark manager, Bookmark Bar and Speed Dial. With Version 1.15, more flexibility has been added as users can access their favourite sites from the main Menu, giving them a convenient option. Often described as a “tweaker’s delight”, Vivaldi in its new version pays attention to detail in its features and includes noteworthy fixes for better browsing. Capture Page tweaks: Capture Page feature, based on the individual needs of the users, is a trendsetting example of Vivaldi’s innovation. This screen capturing utility now allows the last selected option to persist after restarting the browser adding more efficiency to one of its most popular built-in tools. Full-screen mode Improvements: Users who prefer more screen real estate and fewer browsing distractions can now work more efficiently with Web pages. They can now access the various elements of the User Interface (UI) such as the Address Bar and Panels while in the full-screen mode. The appearance of the hidden UI can be toggled on and off through Keyboard Shortcuts. Better and improved sound: This version brings in significant progress in fixing some HTML5 Audio issues, where sound would not play or played at the wrong speed. These removes a major stumbling block for users who may have tried Vivaldi before but encountered such problems.